To enroll you child in KEEN, click here. 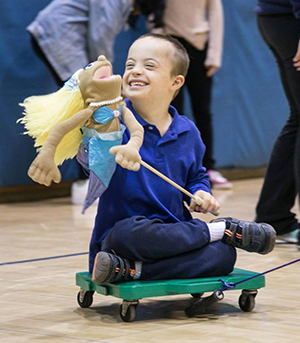 KEEN welcomes every child, regardless of the nature or severity of his or her disability. In its open, unstructured and non-competitive environment, every child can enjoy every activity without the fear of losing or not being the best. KEEN "Athletes" gain confidence and self-esteem, and perhaps most important, a sense of social belonging. And they have fun! KEEN Athletes have disabilities such as autism, cerebral palsy, Down syndrome, and various intellectual and developmental disabilities. KEEN's unique model allows for people with any type of disability, including those with significant needs, to find success. For some of the children and young adults who are unable to participate in other programs, KEEN may be their only recreational activity. KEEN’s programs are offered entirely free of charge to families and caregivers. KEEN is seriously committed to maintaining the privacy of our athletes. Privacy of Athlete and Volunteer Information Policy.